No Quit Living and Live Your Life of Abundance! At time, we have all felt like giving up on ourselves and our dreams. You know I have, I’ve told you so. Be honest with yourself. It’s ok. Christopher Wirth has an amazing outlook on this no quit mindset. In fact, he’s the man behind the No Quit Living brand and fast growing podcast. You’re going to dig this conversation. 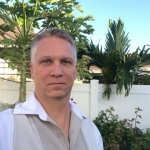 Christopher J. Wirth is the President and Founder of No Quit Living. NQL is a training, speaking and coaching company that works with individuals, teams and corporations to help motivate and inspire them to be the best version of themselves. No Quit Living specializes in helping people not only understand, but maximize their success through Accountability and Self-Accountability. 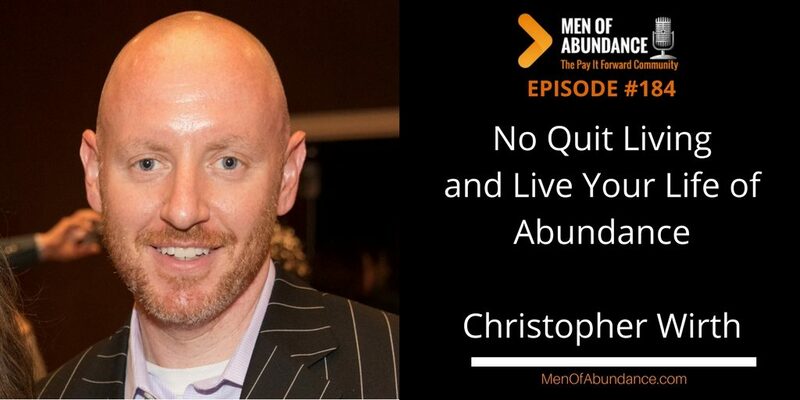 Christopher is also the host of a Top Ranked Podcast on iTunes titled No Quit Living. Their #1 goal is to help motivate people to never give up on themselves and their dreams and goals. NQL will help you go for your Greatness! Thanks again to Chris for jumping on the call with me, again, so I could share his message with you. Here’s my conversations with Jay Papasan (Co-author of the ONE Thing) and Geoff Woods (VP of the ONE Thing Team).